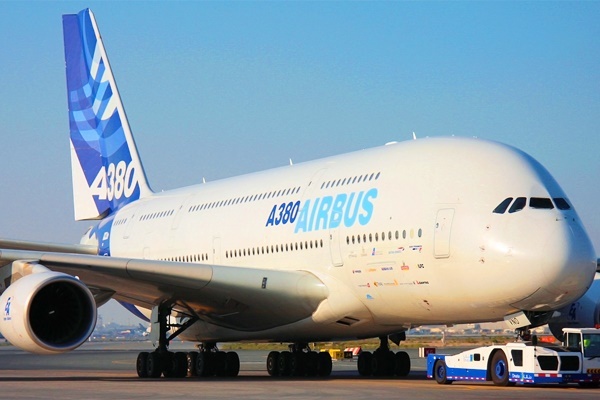 Airbus Group SE suffered a blow to its already troubled A380 program when Iran, which had previously suggested it would buy the double-decker planes, said it had dropped the model as part of a wider fleet upgrade. According to a report by IFP, Iran has reduced its order with Airbus to 100 planes in a contract that will no longer include A380s, Farhad Parvaresh, Iran Air’s chief executive officer, said in a press conference in Tehran. This will shrink the original $27 billion deal for 118 jets, including 12 A380s. A team from Airbus is currently in Tehran for talks, Bloomberg reported. Airbus has already cut production of its superjumbo by more than half, to one plane a month by 2018, as demand has dwindled. Dubai-based Emirates is the only carrier to give the giant aircraft a major role in its fleet. Iran, which is updating its aging fleet after US sanctions were eased, is one of the few remaining untapped markets in which the plane-maker and rival Boeing Co. are competing for orders. Iran is prepared to fund the first $1 billion tranche for the planes in Airbus and Boeing contracts, said Asghar Fakhrieh-Kashan, the country’s deputy transport minister for aviation. Half of this will come from foreign financing, primarily through a leasing company. The remaining half will be raised via various sources, including $330 million from Iran’s sovereign wealth fund called the National Development Fund and $120 million from a domestic sukuk issuance.